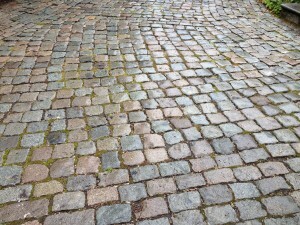 We view Belgian reclaimed cobblestones as world heritage treasures! Not only are they filled with old world charm and architectural character, they also have many other positive points making them the perfect choice paver used in a stone driveway. 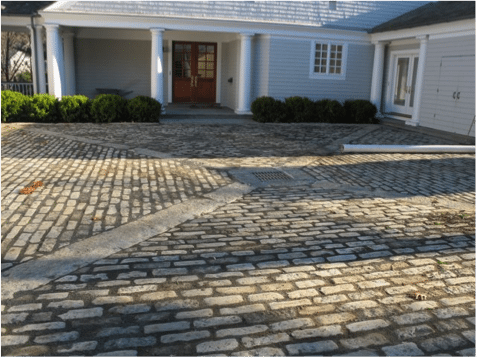 Reclaimed cobblestones have an advantage over solid surface paving such as concrete or asphalt, including better drainage and superior durability. The proof of durability is easy; we reclaim these from streets that range from 100-300 years old. In the event of damage (which would be hard! ), individual pavers can be replaced without the necessity of disturbing the rest of the surface. In addition, by nature, laying a paver with a joint allows for drainage, making it more permeable than a typical asphalt or concrete driveway. Every day in Europe and America, historic buildings and streets are demolished to make way for new development. But while the structure may have outlived its usefulness, the materials have not. Recycling these pavers and bringing new life to them allows one to take these cobbles that date back to anywhere between 100 to 300 years old and create an Old World look in new construction, or custom match period-correct pavers for a restoration project. 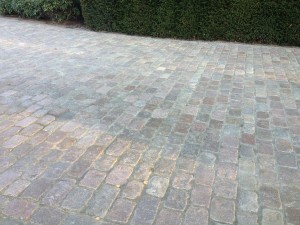 While virtually everyone agrees the wear and patina is what makes reclaimed cobbles unique, the range of color and tone is extremely varied. These colors can range from the traditional New England salt and pepper look, to earth tones of the European Porphyry and the deep blues of Belgian Bluestone. No matter what color range or mood you are trying to achieve …there is a cobble for every palette! You simply cannot find this scope of color and natural character with new materials. Belgian porphry: Also known as “the Belgian block” is a volcanic rock known and respected for its exceptional hardness and durability. Belgian Sandstone: This cobblestone is a very hard and resistant stone with colors varying from brown over grey to green earth tones. Swedish granite: Known for its dramatic color mix of grey, beige, taupe and plum. 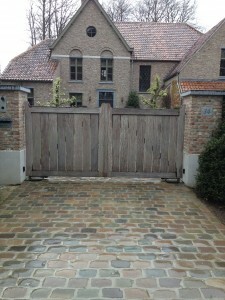 This cobblestone is the main traditional building block of the Belgian region. Be sure to visit our website to view photos of our extensive array of reclaimed cobbles: www.stonefarmliving.com. Or call us for a quote at 203.270.2900.